In my opinion, the perfect DIY could be mistaken for something you purchased, is relatively uncomplicated and only requires a few inexpensive materials, which is exactly why I love this project. 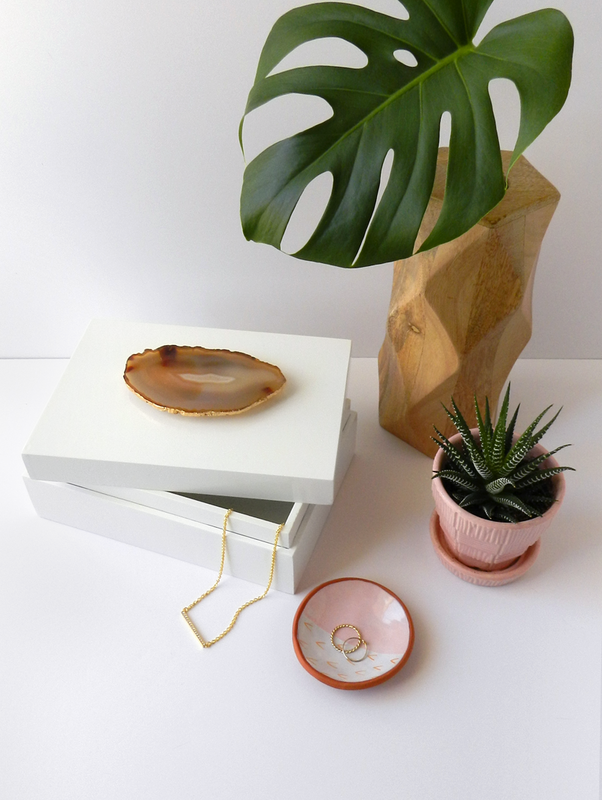 Agates have been a huge trend in decor for a while now and this decorative box is as simple to make as it is chic. 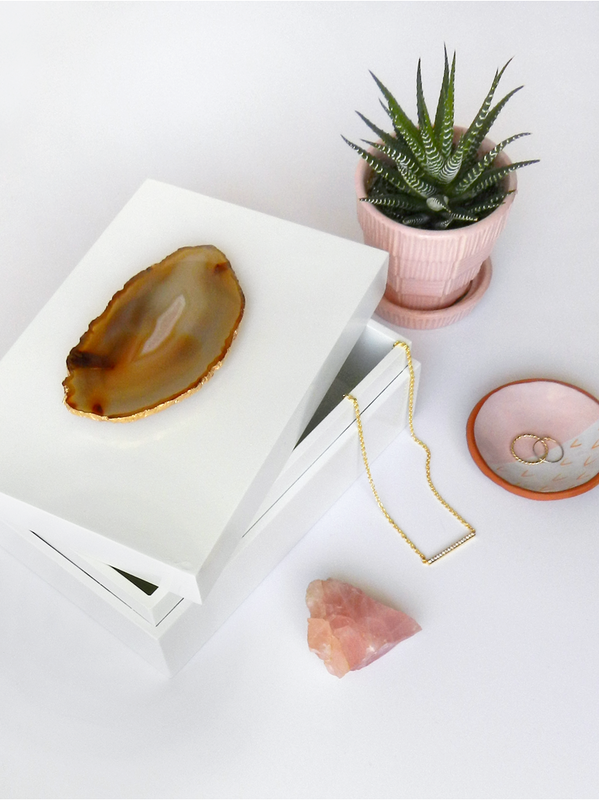 Perfect for storing jewelry or displaying on a bookshelf, this may be my favorite DIY to date! 1. 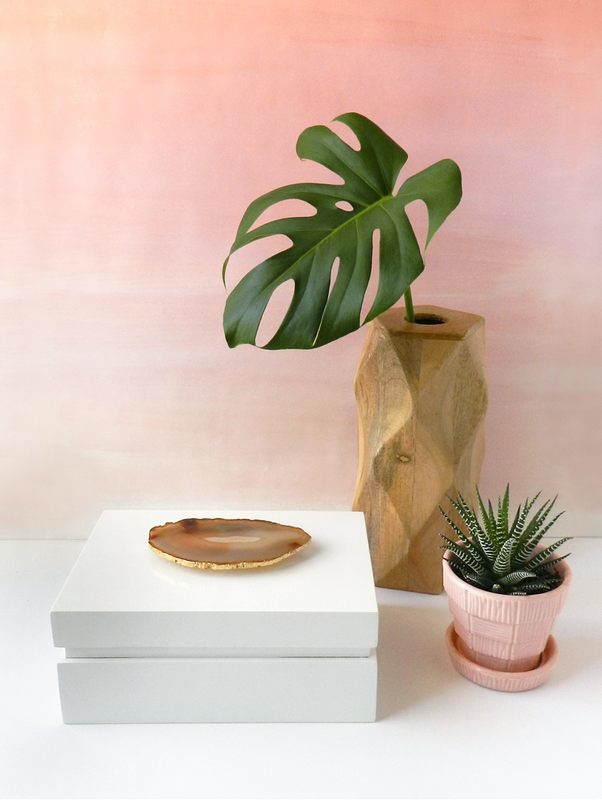 Begin by spray painting your box with a glossy white spray paint if it is not already white. 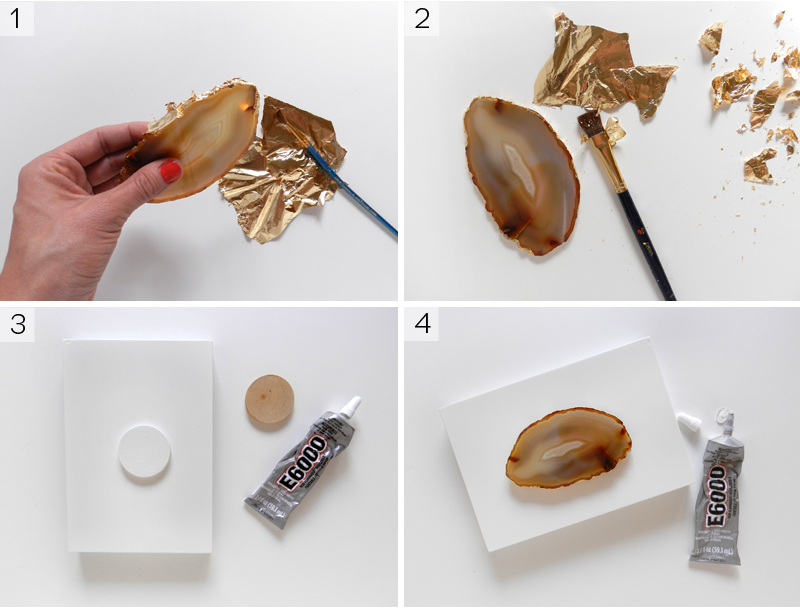 While the box dries use the gold leaf kit to begin gold leafing the edge of your agate slice. The directions included with the kit are pretty easy to follow, but to sum it up, you basically paint a thin even coat of adhesive on the area you would like to gold leaf. It is milky white in color, but once it dries it becomes a clear tacky surface. 2. Once the adhesive turns clear, you are ready to apply the gold leaf. Work in small sections applying the gold leaf by gently pressing it into the adhesive and brushing away the excess with a soft dry paint brush. 3. Once your box is dry, glue the small wooden disc onto the center of the box lid. I painted my wooden disc white to blend in the the box, but that extra step is optional! 4. Lastly, glue the agate slice onto the wooden disc and let it dry overnight before handling.